SoundSide Group is an IT consultant company based in North Carolina that delivers strategic technology solutions to their customers. With knowledge and experience, they help their clients with required IT upgrades, installations and maintenance. They also supply equipment for any unique solution their customers may need. Having acquired multiple first tier servers, SoundSide Group quickly realized the management and failure rate along with the inability to handle the load of nightly backups was becoming a problem. After researching multiple storage providers SoundSide Group now use 45 Drives' Storinator storage servers to save their clients considerable time and money. SoundSide Group Backup Solutions Specialist and Surveillance Engineer, Eric Koss, is the IT Director and consultant for Hertford County local government. Located in North Carolina, Hertford County had successfully acquired and commissioned multiple first tier servers. But with close to 20 servers, each writing nightly backups to multiple backup targets, they realized they had outgrown their existing backup solution. Systems were at an excessive failure rate, and it was clear that it was no longer fast enough to handle the load of nightly backups. This prompted them to research alternative backup systems. They were looking for reliability, the ability to scale as their data continued to grow, and cost effectiveness. After researching multiple storage providers SoundSide Group decided that 45 Drives' Storinator storage servers fitted the bill. Soundside Group installed Windows Server 2012 R2 OS in RAID 1 and used 39 Western Digital RED hard drives and six SSD drives in their 45 Drives Storinator server. They had configured their storage pools into three equal volumes, assigned 2 SSD drives per volume and 13 SATA drives. 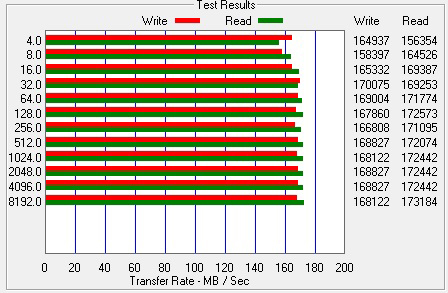 They provisioned each as fixed, mirror, 2-way, tiered storage (3-way actually slows down reads/writes). This cut down available space to 36TB per volume, but it is lightning fast and taxing all three volumes at the same time - doesn’t slow down read/write. Their first attempt at solving the storage problem was to use standard first tier servers with many drives to create 20TB of storage. However, they quickly realized these servers couldn’t handle the load once they started writing backups - nightly backups took days and had many write errors. After trying multiple NAS systems with no luck, Koss began looking elsewhere. That’s when Koss found 45 Drives and the Storinator. “We decided to go with the Storinator, mostly for a mass storage device,” said Koss - who connects over 200 users via 1GbE and 10GbE to access their data. Running on Windows, the Storinator simplified their storage by using only one server where they used to have multiple. Having less hardware meant less workflow and asset management with improved reliability. Therefore Eric Koss could have his cake and eat it too. With the Storinator storage server, SoundSide Group is not only getting the 20 server images they wanted, but they now have enough space to partition off some of the disks for other processes. For example, image storage for GIS mapping and user folder storage. “The Hertford County Storinator operates as a mass storage server with 20 devices writing nightly backups. We also deployed two additional Storinators as mass storage servers for surveillance systems. Our client, who are worldwide paper suppliers required 24x7 1080p surveillance storage and the Storinators have been very reliable in that role as well,” said Koss. With over 400TB of data used a month growing about 100TB a year, the Storinator by 45 Drives provides the reliable, scalable mass storage platform for Soundside Group for years to come. Q. 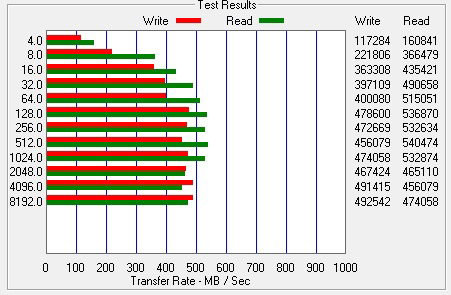 What kind of speeds are you getting with the storage spaces? A. I played with configurations and can get slightly better (17.6MB/s) by using double parity, however, I lose a lot more space. I also made a few more configuration changes – we’re able to get ~6x better write speeds using Windows Storage Spaces. Q. Can you tell us what changes you made to the configuration? A. Nothing too complicated. 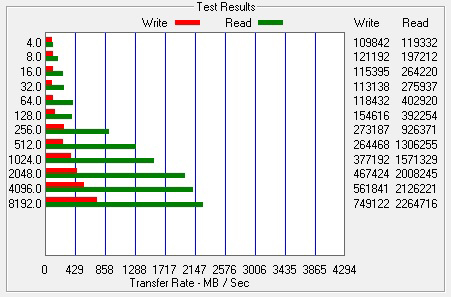 I created a 2-way mirror (RAID10) and ran ATTO against all the configurations available in Storage Spaces to learn where the performance hits are (see graphs). 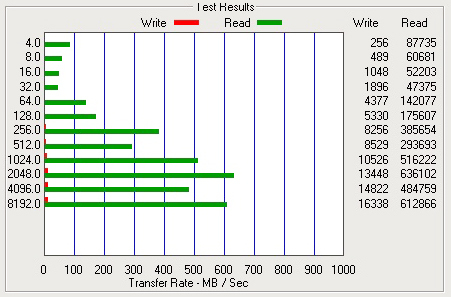 A single disk is the graph where we use a single storage disk of the same type - in the pool, just outside of any RAID. Sandisk is the result of running against the C Drive of the pod (but in my case, this is software RAID1 which may be tainting the results a bit). Q. How was this configured? A. This was configured using 15 of the 45 available disks and 32mb write-back cache (can modify this after adding tiered storage). With a total of 81.9TB available storage space, single parity yielded 66.8TB net and a 2-way mirror 38.2TB - there is a 47% loss in space over single parity. However, there is an increase of about 530% in performance. In a small NAS the loss of space may be significant enough to prevent using a 2-way mirror; but in this behemoth of storage a 2-way mirror with ~5x the performance still providing near 40TB of storage, is a win and there is 180TB still available to configure. Q. What do you require from your storage server? A. The need here is fast write time for backups, we have 60 some servers all backing up every night and have had many issues with using multiple small NAS boxes (reliability of the devices, raids going away, etc.). We started turning HP servers into NAS's using the additional cage option and installing 12 drives. These have been much more reliable, however, we now run into write performance issues where there are too many devices backing up to a single server. We had to deploy multiple converted storage servers and although this is cheaper than enterprise backup storage, it’s still not cheap - especially when you purchase your drives from HP. This produced a situation where we had more storage then what we could write to in a given period of time. The converted storage boxes had the storage we needed but they could not write to the drives fast enough to prevent getting errors in the backup software. Q. How will the Storinator help? Note: This may be tainted because it's a box in a production environment but as you can see I would need basically 1 HP storage box per server to get the same throughput write performance that I'm getting in testing with the Storinator.